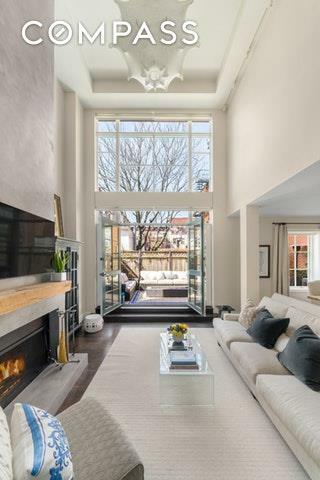 Perched on the corner of iconic Leroy and Bleecker Streets in the heart of the West Village, this incredibly rare three-bedroom residence is tucked away in a boutique condominium. 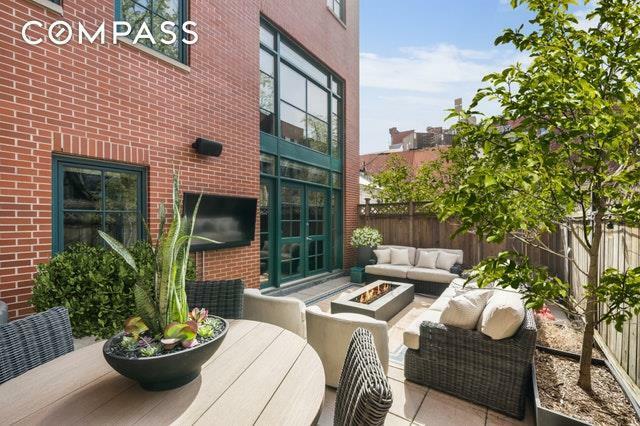 An exceptional private outdoor space surrounded by trees and historic townhouses transforms this urban duplex into a true home.Over 2,000 square-feet, the turnkey interior is elegantly designed with grand proportions. The main level offers an extraordinary great room with double-height ceilings reaching 19-feet and a wall of floor-to-ceiling windows flooding the apartment with natural light. A dramatic floor-to-ceiling wood-burning fireplace is the pice de rsistance, resembling that of a country house in the city.Accessible directly off the living room is a 430 square-foot private terrace, landscaped and irrigated to accommodate a lush garden sanctuary. The space is also equipped with an outdoor audiovisual system creating the ideal atmosphere for entertaining.The eat-in windowed kitchen features banquette seating, custom gray patina cabinetry, plentiful counter space, and SubZero and Wolf appliances. Across from the kitchen is a formal dining area. Also located on this level is a spacious third bedroom/home office and a full guest bathroom.Upstairs on the top floor is the master suite and a large second bedroom with a full en-suite bathroom. The sprawling master bedroom faces southwest, with three large windows revealing views of the Freedom Tower. It is complete with a customized walk-in closet and luxurious spa-like bathroom, including an infrared sauna, heated floors, Dornbracht and Waterworks fixtures, standup shower, and Zuma deep soaking tub.Additional details of the residence include dark solid oak floors throughout, a Lutron lighting system, integrated speakers, blackout shades in the bedrooms, central air and heat, a full-sized washer/dryer, abundant closet space, and a Gemini security system.1 Leroy Street is a boutique elevator condominium offering 24-hour monitored security, extremely low common charges, and bicycle storage. Situated among the legendary shops and restaurants of Bleecker Street, the buildings entrance on Leroy Street lends privacy and exclusivity. 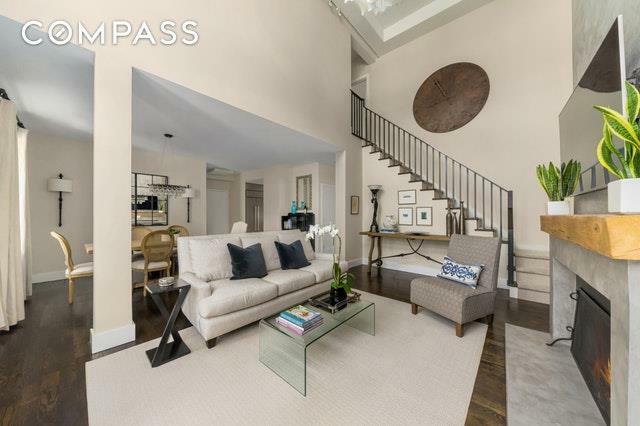 Please contact the sellers agent to schedule a private showing!